I have been lucky enough to drive many exotic and wonderful cars in these 10 years I have held my driving license from a Ferrari F355 to a Nissan GT-R, a Bentley GT to a Mercedes S63 AMG Coupe and they all left me with the same feeling… I want more. More speed, more power and a lot of the time, more comfort. But none of them were as different to drive as what I I had the pleasure of road testing 3 weeks ago. The weekend its self was very eventful for me, as I was driving the Mercedes S63 AMG Coupe and the Mercedes AMG GT-S – however neither of these are the car in question. 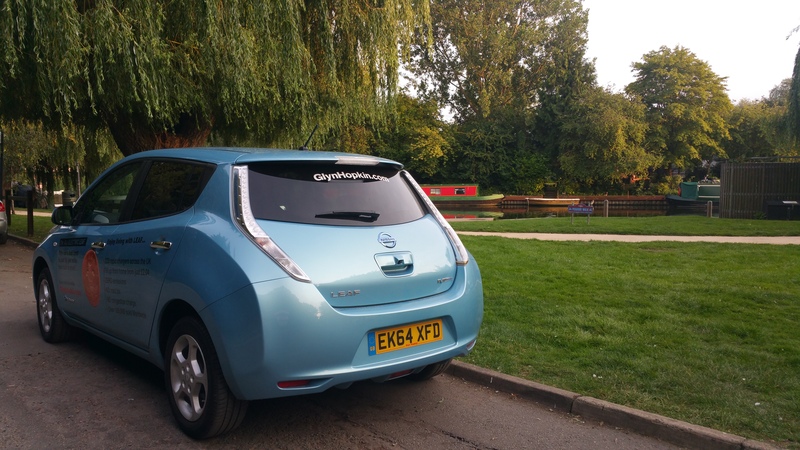 The car I got to take away for four days of testing was the rather interesting and surprisingly impressive Nissan Leaf. First thing’s first, yes, it is flipping ugly and the interior isn’t much better. It definitely shares more characteristics with the Nissan Micra than the GT-R. I have been reassured by the friendly and incredibly helpful sales guys at Cambridge Nissan that the less than desirable exterior looks are all in the name of aerodynamics. Optimum efficiency was the the goal here and by the looks of it, they have done a rather good job. Inside it’s a slightly better story, but not much… It has the usual plastic dash and door trims straight out of a Cadbury’s chocolate box and the buttons are straight out of a 1991 Nissan Sunny. 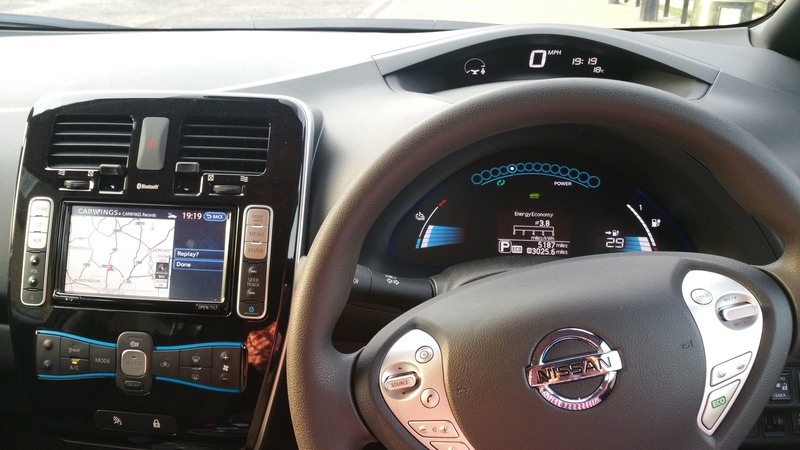 It does have a few cool little touches though including a clever Nav system that lets you know where all the charging stations in your area are and the option to call ahead to make sure they are up and running. 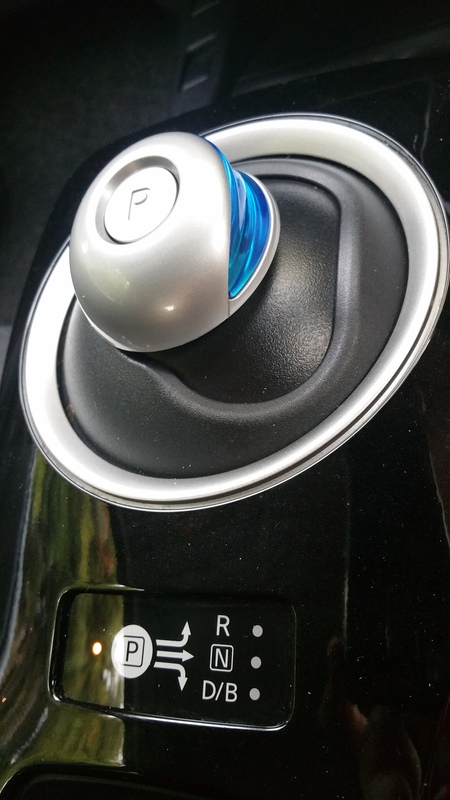 With it being electric, there’s no need for a gear stick, so instead there is a weird blue and silver egg that you shift about to switch from Park, Neutral, Drive and Reverse. It all looks kind of cool but feels a bit cheap – a nice wheel mounted shift stalk probably would have looked better, but I would say that because my S class has that! 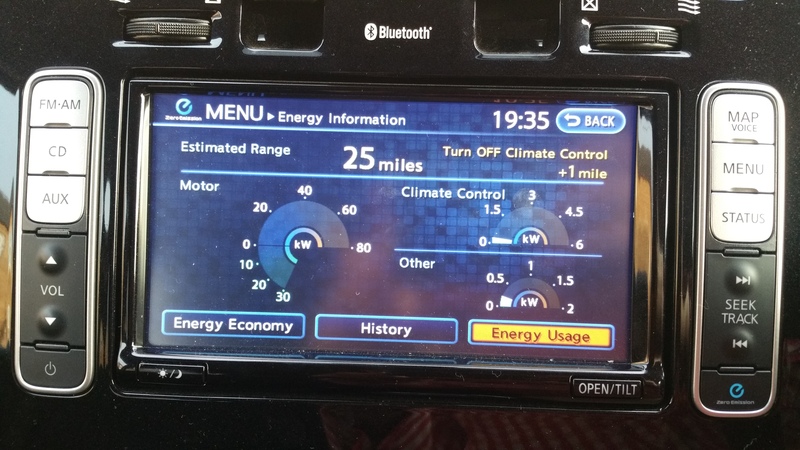 Dials and steering controls are all fairly standard, with a digital display replacing the conventional rev counter and speedo, and a special tree feature that pops up as you drive showing how environmentally you are being. Personally, I’d prefer a hug from a Polar Bear or something at the end of each drive. And that brings me to the important bit, the drive. It’s a very strange experience, this driving and electric car, and I have only ever experienced it once before when I tested a BMW 7 Series Hybrid a few years ago. That feeling of moving with no engine sound and no gear changes. It just feels weird, but also quite cool. It sounds like a space ship or electric train when you pull away, and then all the noise you get is road and wind noise. Not good if you love the sound a V8 burbling away as you cruise down the motorway, but also not bad if it’s 5am and you just want a bit of piece and quiet. In normal driving mode it is definitely nothing special, in fact it is pretty damn slow and boring. The steering is light with no feel, you sit up like you’re driving on stilts and it rolls like a mid 90’s Volvo estate. Take it out of “ECO” mode, however, and it’s actually a little space rocket! Due to it’s magical electrical trickery and lack of gears, it propels from 0 to 40mph quicker than it’s spleen relocating bigger, unhealthier, penguin hating brother, the almighty GT-R! Unfortunately that’s where the excitement stops, and once you’ve had that little bit of fun, the reality of it all comes back as you’ve probably halved your range. The 107bhp is only really fully available at this time, and unless you have plenty of time to charge the thing, it will probably get used like this very rarely. In conclusion, I actually kind of liked the Leaf at times, it was nippy when it needed to be and it had a lot of space inside. But for me, as a warm blooded petrolhead who loves the sound of an angry V-formation engine, the result was as expected. That, and it’s still surprisingly hard to live with due to a pretty disappointing infrastructure in this area. Now obviously I am more than happy to see if the simply stunning Tesla S can change my opinion on this, but until I get to play with one of them, I am just not sold.